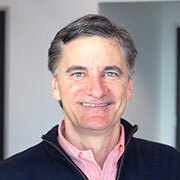 CHG Healthcare of Salt Lake City, Utah, named Kevin Ricklefs its chief culture officer. Ricklefs joined CHG in 1999 as the leader of the benefits team, and has since been human resource director, VP of talent management, and, most recently, as SVP of talent management as well as president of the CHG nonprofit Making a Difference Foundation. Alacura Medical Transportation Management of Dallas, Texas named Ken Van Cara its CEO. Van Cara was most recently President and COO of Clarus Healthcare, and has worked at EviCore, Magellan Health Services, and UnitedHealth Group. He holds an undergraduate degree from Penn State University. Profusa of South San Francisco, California has hired David Icke as head of digital health business, Sean Givens as head of government business, and Hesham Younis, as head of business development. 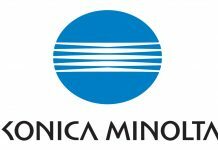 Prior to joining Profusa, Icke led the Digital Health Business Unit at Becton Dickinson (BD); Givens most recently was co-founder and COO of MIODx. Younis most recently was VP of marketing at Cardinal Health. 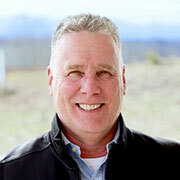 CooperRiis of Asheville, North Carolina named Eric A. Levine its new president and CEO. Levine is the former executive director of ClearView Communities. He replaces Michael Groat, who left to become Chief Clinical Officer at Silver Hill Hospital in New Canaan, Conn. In 2005, Levine founded an educational consulting firm in the Washington, D.C.-Baltimore metro area. He holds a doctorate in education leadership, an Ed.S. in career transition and assessment, and a master’s degree in special education from George Washington University. He serves on the Board of Directors of the Association for Community Integration. The New York, New York-based FAIR Health, Inc. elected Lynn B. Nicholas and Rob Parke to its Board of Directors. Nicholas most recently was president and CEO of the Massachusetts Health & Hospital Association (MHA). Parke is a principal and consulting actuary with the New York office of Milliman. The Chicago, Illinois-based American Board of Medical Specialties (ABMS) named Carrie Radabaugh its VP of governance and board relations. Radabaugh most recently was director and secretary for the Council on Medical Education at the American Medical Association (AMA). She was a senior health policy analyst for the Division of Workforce & Medical Education Policy at the American Academy of Pediatrics, has also held policy roles with the State of Illinois Office of the Special Advocate for Prescription Drugs, and the Indiana State Department of Health. Radabaugh holds a Master of Public Policy degree from the University of Chicago. PatientPoint of Cincinnati, Ohio named Bill Jennings its chief digital officer. Jennings established the programmatic health platform PageScience, which was acquired by Accent Health in 2016. He has been the Accent Health president of digital and programmatic, and has held executive leadership positions at Vitrue, Lightningcast, and A&E TV Networks. 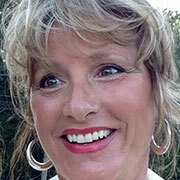 GlobalMed of Scottsdale, Arizona named Shannon Murphy its Chief Technology Officer. Murphy most recently was director of federal health solutions for Microsoft, and has also been its federal health architect, and CTO for the Microsoft federal health and benefits team. Murphy held multiple engineering and management roles and is a Navy Veteran. AbleTo, Inc. of New York, New York named Mary Ann Tocio to its Board of Directors. Tocio most recently was president and COO at Bright Horizons, and remains on its board of directors. Tocio was recently chairman of Harvard Pilgrim Health Care, and a member of the boards of Burlington Stores and Iora Health. She also served on the boards of Civitas Solutions and the Mac-Gray Corporation. Children’s Hospital of Philadelphia (CHOP) Chief Scientific Strategy Officer Beverly L. Davidson has been elected VP of the board of directors for the American Society of Gene and Cell Therapy (ASGCT). Davidson will become ASGCT president in 2021-22. Autism Learning Partners of Pasadena, California named Richard Fish as CEO, succeeding the retiring Jeffrey Winter. Fish was most recently CEO of Brown & Toland Medical Group, and has also held leadership positions in Talbert Medical Group, Heritage Provider Network, and FHP International. 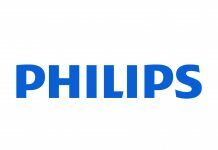 Pelitas (formerly DCS Global) of Plano, Texas named Tee Green, chairman and CEO of 121G, LLC, to its board of directors. Green was part of the founding team of Greenway Corporation, which was sold to the BISYS Group; and was the CEO of Greenway Medical Technologies, which eventually merged with two other companies, until April 2016. Green serves on the boards of Pelitas, Caravan Health, ReferralPoint, WellBox, GreenCourt, Sonic Tools, Clearview Installations, Mint Health, and StreamLine Health. Axxess of Dallas, Texas, named Deborah Hoyt SVP of public policy. 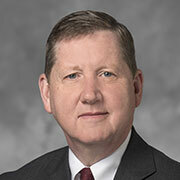 Hoyt, has been president and CEO of the Connecticut Association for Healthcare at Home since October 2010, and will join Axxess in mid-July. Previously, she was AVP of public affairs at Aetna, director of public relations and corporate social responsibility for ConnectiCare, and VP of communications and VP of public affairs and education for the Connecticut Hospital Association. 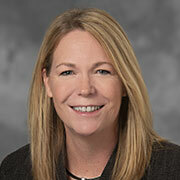 ConsejoSano of North Hollywood, California added Molly J. Coye to its board of directors. Coye has previously been Chief Innovation Officer of UCLA Health, Director of the California State Department of Health Services, and Commissioner of Health for the State of New Jersey. She has served as a member of the boards of directors of Aetna, the American Telemedicine Association, the American Hospital Association, and the American Public Health Association. 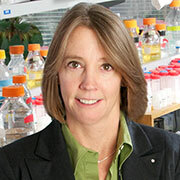 Coyle is also a board member at Ginger.IO, an Executive in Residence at AVIA, and an elected member of the National Academy of Medicine (formerly the Institute of Medicine). LifeScan of Chesterbrook, Pennsylvania named Brian Heald its new head of product; he was most recently CEO of Glutalor Medical, and has worked in senior leadership roles at Roche Diabetes Care. 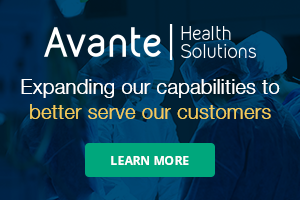 The Chigaco, Illinois-based Innovista Health Solutions added Gary Wainer as Chief Medical Officer and president of its Illinois Market. Wainer has a D.O. from Midwestern University, is board-certified in family practice and addiction medicine, and has worked at Northwestern Medicine and Chicago Health Systems. SafelyYou of San Francisco, California named Ajay Gulati chief technology officer and Bryant P. Castleton chief commercial officer. Gulati was most recently CEO and CTO of ZeroStack Inc., has been a senior architect and research and development lead for VMware, and holds both doctorate and master’s degrees in computer science from Rice University. Castleton was most recently CEO of Holon Solutions, has been a regional VP for Enli Health Intelligence, and a medicity and territory VP for McKesson. The Frisco, Texas-based Addus HomeCare Corporation named Sean P. Gaffney EVP and Chief Legal Officer, effective April 29, 2019. Gaffney was most recently general counsel for the Dallas-based Encompass Health – Home Health & Hospice, and has been EVP Corporate Development, General Counsel and Secretary of BroadJump, LLC. Gaffney holds a juris doctorate from Boston University. Silver Hill Hospital of New Canaan, Connecticut named Michael D. Groat its Chief Clinical Officer. Groat was most recently president and CEO of CooperRiis in Asheville, North Carolina, has spent time at Menninger Clinic in Houston, and has been a faculty member at the Baylor College of Medicine. Groat holds a doctoral degree in psychology from State University of New York and a master of science degree from Miami University of Ohio. VeraSci of Durham, North Carolina named Mark Skeen its senior medical scientist. He is an associate professor of neurology at Duke University Medical Center, head of the division of MS and Neuroimmunology, and a fellow of the American College of Physicians and the American Academy of Neurology. Abigail Tremble was named president of the board of directors of the National Association of Travel Healthcare Organizations (NATHO). Tremble is president of Randstad Healthcare of Atlanta, Georgia. The Detroit, Michican-based Henry Ford Health System has named Mary Jane Vogt SVP and Chief Development Officer, a role she had been serving in an interim capacity. Since joining the organization in 1997, Vogt has been its director of annual giving, senior director of regional philanthropy, and VP of major gifts and regional philanthropy. David Shepherd will become president and CEO of community care services for Henry Ford, a role he also had been serving in an interim capacity. The New York, New York-based JDRF promoted Chief Mission Officer Aaron J. Kowalski to president and CEO, succeeding Derek Rapp, who resigned in October 2018 after nearly five years in the role. Central Logic of Salt Lake City. 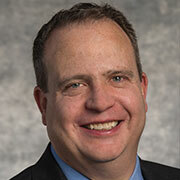 Utah added Matt Dinger as VP of professional services. Dinger joins the company from Epic Systems, where he oversaw training, tools, process, and methodology for global implementations. Dinger also has held key leadership roles at the Boys and Girls Club of Utah County. He has a master’s degree of arts from Brigham Young. J.D. Power of Costa Mesa, California has added healthcare firms and systems analytics expert James Beem to its global healthcare practice. 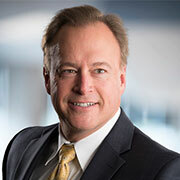 Beem most recently was an associate partner at IBM Watson Health, has been SVP of healthcare analytics and business intelligence at Walgreens, market CFO at Humana, and a healthcare financial consultant at Mercer-Marsh and McLennan Companies, Inc.
reLink Medical of Twinsburg, Ohio has named Gregory Hemphill its VP of products. 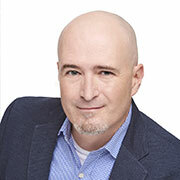 Hemphill joins reLink after having spent the last 15 years in healthcare roles focused on improving customer experience and enhancing buyer and seller interactions.